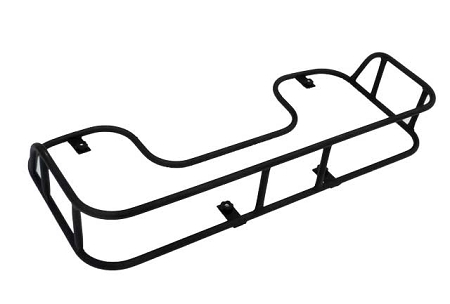 The Hornet S 3014 Sportsman Flat Rack with Rail is a simple Drop and Lock rack that fits 2006-2019 (fits all models EXCEPT X2,1000, AND SPORTSMAN 850) Polaris Sportsman rear plastic decks. If your unit is a 2014-19 it simply drops on and Twist Lock (included) anchors secure it to the deck. Prior years require removal of the steel rail that attaches to the rear deck of the Sportsman. Same as S 3-13 Flat Rack but has an additional rail along the sides and rear of the rack. A number of Hornet Accessories are available for the 3014 including Spare Fuel (R-3015), Chainsaw Mount(R-3006), Tool Box, Jack, and others. SEE ALL AVAILABLE OPTIONS LISTED. 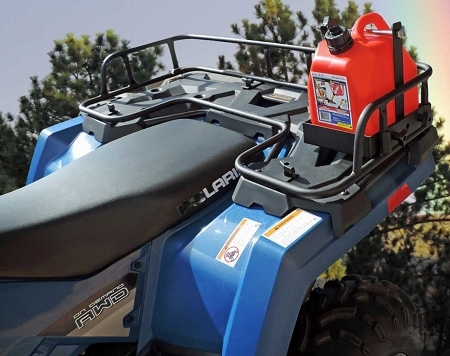 The Ranger Cargo Racks feature standard spread between the vertical bars on the sides and ends. 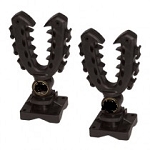 This Tool Less attachment system allows for accessories to be attached on any sides of the rack; inside or outside. 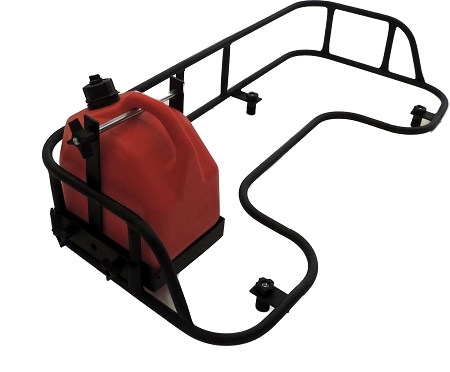 Accessories include Jack, Spare Tire Mount, Spare Fuel, Chainsaw Sheath and more!